The Home Office makes huge profits from the process of becoming a citizen - but campaigners are kicking off at the 'extortionate' fees. Campaigners are taking to the streets against ‘extortionate’ Home Office fees for citizenship applications. 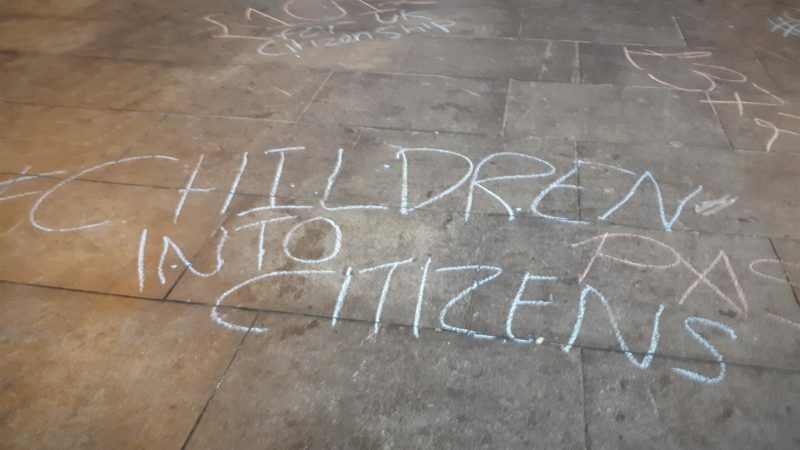 On Saturday in Brixton (South London), young activists blocked roads to demand the Home Office scrap its charges for the children of non-British parents to become citizens. Brixton has long been a hotbed of resistance to punitive Home Office rules. Some of those protesting – part of the Advocacy Academy – were British-born but had to pay £1,300 and face huge delays to become naturalised – i.e. to secure their rights as UK citizens. “Children are being exploited over their right to citizenship. Even if they’re born here they’re being told they have to pay. [Applying] was the worst process of my life. Even though you pay this money they still try to make your quit…they say you need to get this paper, this other paper. “I did it two years ago, it took me a long time and I was finally able to get [citizenship]. A lot of people quit half way, or try three or four times and are declined. “Kids want to go to university and take out a loan, then find out they can’t as they’re not citizens – they have to wait three years just to get a loan. It currently costs £1,012 for the children of immigrants to become officially ‘naturalised’ in the UK. For adults it is £1,330. But that figure can soar depending on the circumstance: the fee to apply for indefinite leave for a dependent relative who is a vulnerable adult is £3,250. 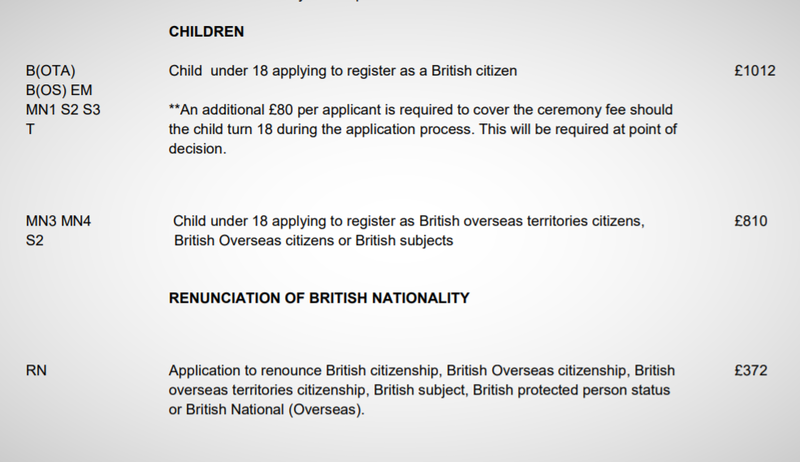 Why does it cost £1,000 for a British-born child to get citizenship – but under £400 to renounce it? “Many suspect the Home Office makes a hefty profit on these fees. They are correct. The actual cost of processing an ILR [Indefinite Leave to Remain] application is £243 and a naturalisation application costs the Home Office £372. Analysis by the Guardian in September last year also showed the Home Office is making profits of up to 800% on immigration applications from families, ‘many of whom are eligible to live in the UK but are turned down on technicalities and forced to reapply – and pay again’. At the time, the Home Office told the paper its approach ensured “those who benefit directly from [citizenship] contribute appropriately”, adding the fee levels aimed to “strike a balance between generating income and maintaining global competitiveness.” Many believe that balance is not being struck. With Sajid Javid taking over at the Home Office earlier this year, there was speculation that the ‘hostile environment’ policy would come to an end. This doesn’t appear to be happening. Please join us in solidarity for our 6th peaceful protest against #HomeOffice. No rights to appeal & work, inhumane delays and disproportionate refusals. The mind-boggling list of Home Office citizenship charges is available here.